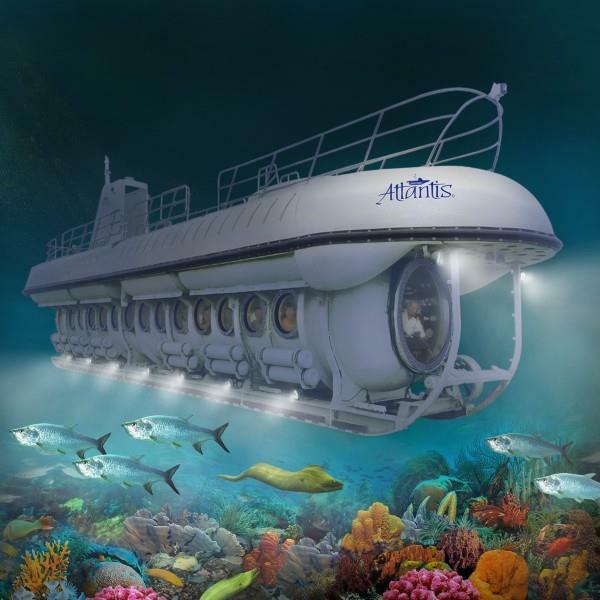 Cayman Islands Submarine and our Observatory allows you the complete range of quality underwater experiences without getting wet. 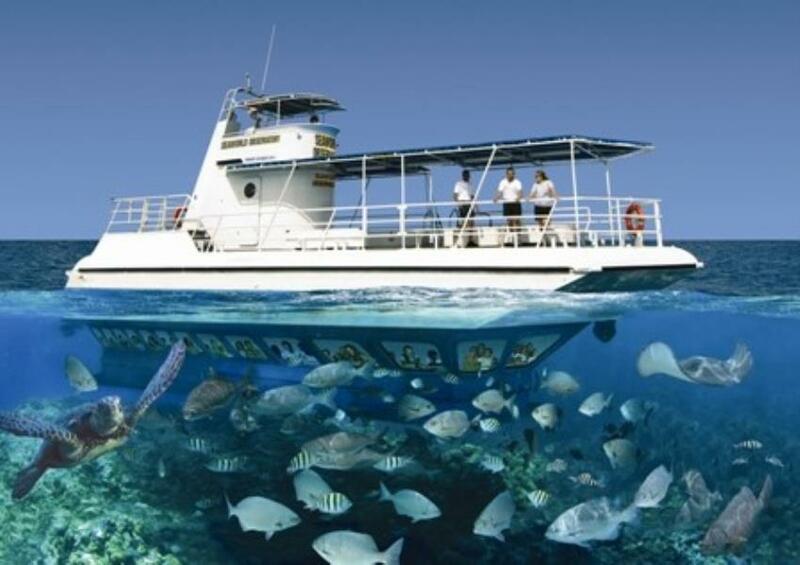 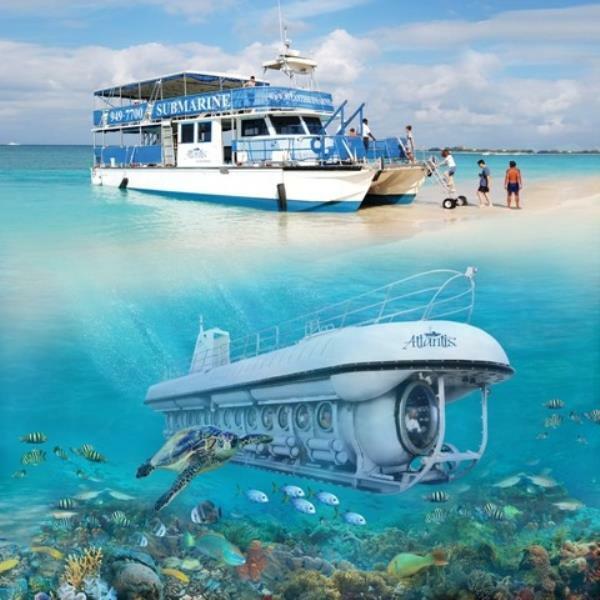 The Cayman Islands are one of the top scuba diving destinations in world, and with Atlantis Submarines, you don't have to be a scuba diver to experience the underwater world. 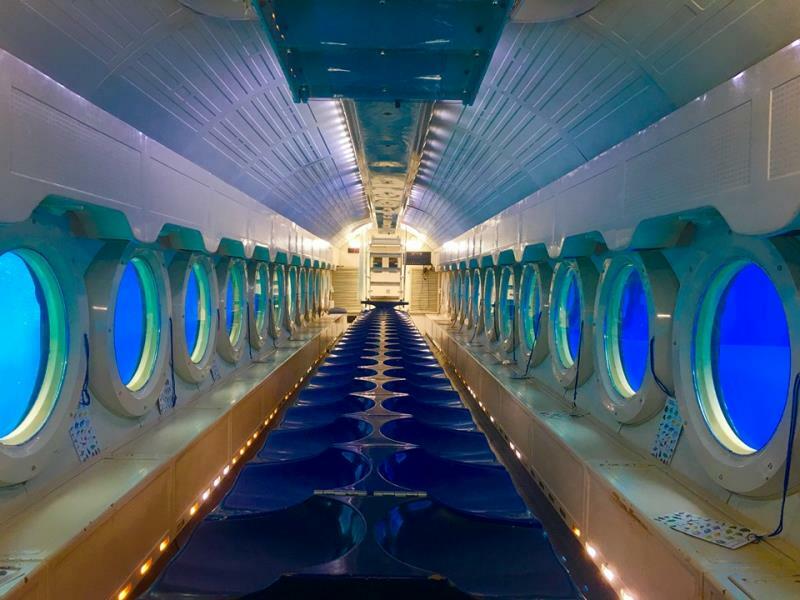 The 48 passenger Atlantis Submarine offers a unique option by which, anyone seeking things to do in the Cayman Islands, can experience the underwater world. 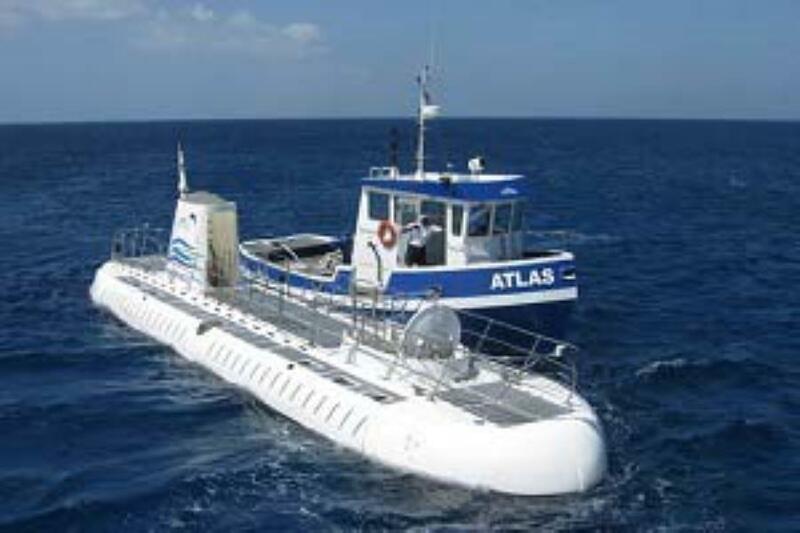 SUBMARINE DAY TOUR- Seven Mile Beach pick-up Atlantis Submarine now offers tours directly from the Seven Mile Beach, which includes the additional benefits of a cruise along the beach to our dive site, during which you enjoy the beautiful views of our world famous Seven Mile Beach and its' 5 star properties, and the convenience not having to drive into George Town. 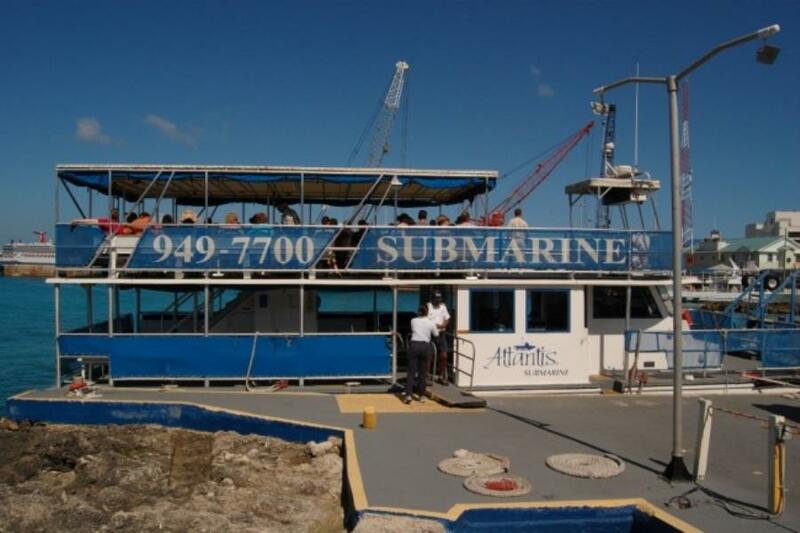 SUBMARINE NIGHT TOUR Looking for things to do in Cayman at night? 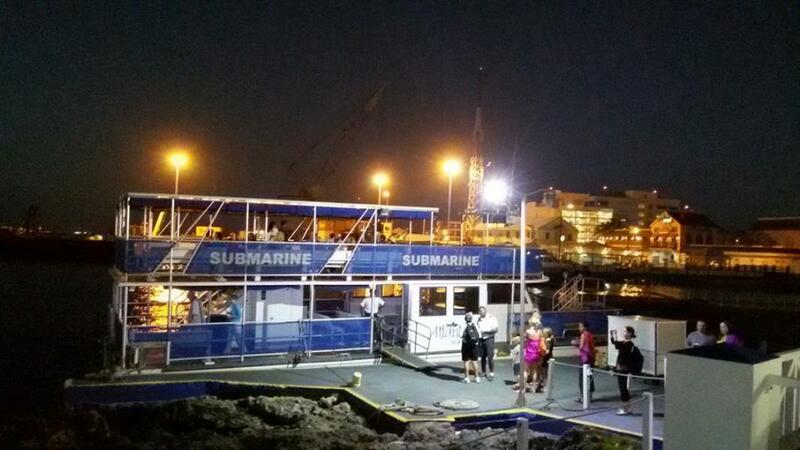 Our Submarine Night Dive is truly unique as it provides elegant, underwater, evening entertainment.